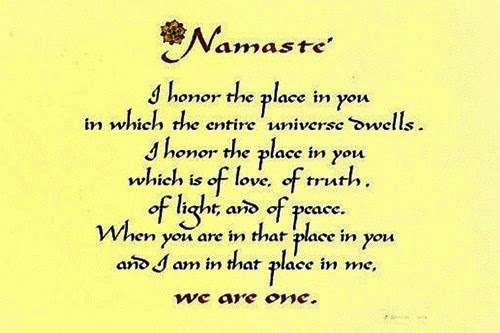 Unless we realize the oneness that unites us as humanity, we will never be at peace. Yesterday, Prime Minister Narendra Modi said that former Prime Minister Indira Gandhi’s assassination divided the country, referring to the anti-Sikh riots in 1984. “Our own people were killed. The incident was not a wound on the throat of any community but a knife, a dagger on India’s century-old great social fabric,” Modi is reported to have remarked, taking an indirect dig at the Congress, and their purported role in those riots. Consequent to Modi’s public posturing, neither he nor any National Democratic Alliance member visited Indira Gandhi’s memorial, Shakti Sthal, yesterday to pay homage to her on her death anniversary. No sooner had Modi taken this stand, his critics pointed to the daggers that were driven through India’s chest in December 1992 (over the Babri Masjid episode), followed by what happened in Mumbai between December 1992 and January 1993 (over the gut-wrenching Mumbai riots) and during February~March 2002 (over the Godhra episode). Irrespective of which party ruled – or where they ruled – these episodes do throw up painful memories of India’s soul bleeding. And all of this happened because we, as a people, as a nation, have allowed ourselves to be tricked to believe in our separateness, and worse, have allowed ourselves to be exploited on that unfortunate premise. These episodes are a gory, haunting, reminder that we didn’t recognize our oneness as people, not just as citizens, but as human beings. What’s shocking is that we continue to refuse to see humanity as one even at a personal, individual level. The other day I was aghast when someone we know wanted us to connect them to a “Brahmin” lady who could be “gifted” a saree to commemorate someone’s death anniversary. Now, why a “Brahmin” lady? Why would this someone’s maid, who toils daily to keep their home clean, be a less deserving beneficiary? But my sane counsel, and humble protest, cut no ice. To appease the dead, I was told, a “Brahmin” alone can and must be a beneficiary! An old story that Osho, the Master, used to say, comes to mind. A king had made a palace; the palace was called the Mirror Palace. The floor, the walls, the ceiling, all were covered with millions of mirrors, tiny, tiny mirrors. There was nothing else in the whole palace; just mirrors everywhere. Once it happened that, the king’s dog, by mistake, was left inside the palace in the night and the palace was locked from the outside. The dog looked around and became frightened — there were millions of dogs everywhere. He was reflected: down, up, in all the directions — millions of dogs! He was not an ordinary dog, he was the king’s dog — very brave — but even then, at the moment, he was alone and very scared of the “other” dogs. He ran from one room to another, but there was no escape, there was nowhere to go. He became more and more frightened. He tried to get out, but there was no way to get out — the door was locked. Just to frighten the other dogs he started barking, but the moment he barked the other dogs also barked — because they were all mere reflections. Then he became more frightened. To frighten the other dogs he started knocking against the walls. The other dogs also jumped at him and bumped into him. This saga endured all night. In the morning the dog was found dead. But, see the beauty of it, the moment the dog died, all the dogs died. The palace was empty. For, there was only one dog and millions of reflections. Alas, this simple truth is not understood. We find more and more ways as individuals, as a society, as a country and as a world, to focus on our “separateness” than celebrate our “oneness”. We even take our arguments and logic to banal levels – choosing to ignore a former Prime Minister’s contributions by refusing to pay homage to her or choosing not to talk of events that have plundered our country’s conscience and secular fabric – just because they inconveniently remind you of your failures to provide responsible leadership and governance! Understanding our oneness does not require a great effort. If we simply take a deep breath and see that we are all alive because of this one, Life-giving, source, which is common to all of us, we will bury our divisive urges and live celebrating our oneness!